It features the latest Translucent Mirror technology from Sony, and has an articulating rear LCD preview screen. 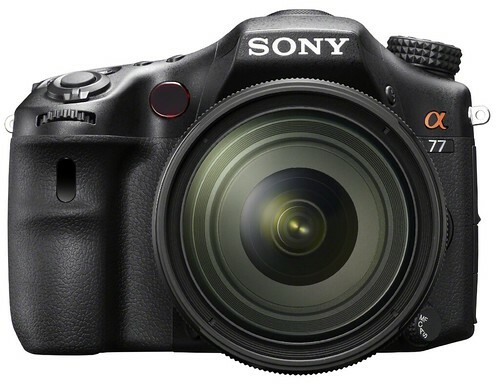 If you intend to do tethered shooting with the A77, you might want to wait a bit until Sony officially releases a firmware update to enable tethering on the A77. This is a slightly disappointing piece of news as the older A700 had this feature. I find that the A77 doesn’t do high ISO very well. Sony A77, Sony 16-50mm, Sony 75-300mm — Video clips and full-resolution test photo samples at Impress. Plants and animals by Jono Slack. The Sony 135mm f/1.8 lens was used for these images. Sony α Alpha SLT-A77 page at Sony USA.